In the event that you have ever gone into an attic on a hot summer day, then you have first-hand knowledge of the buildup of heat that can take place in that space. Putting a roof cap onto the roof of the building can enable this hot air to be continuously exchanged for the cooler air outside, making it a lot simpler to keep the home temperature at a level that is comfortable. Among other things, the caps can provide a practically invisible and attractive solution for the issue of an unbearably hot attic. 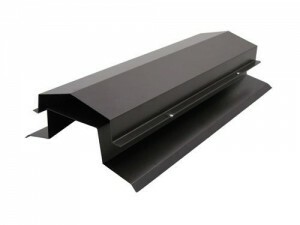 Roof caps are essential components of any ventilation system and they keep elements that are unwanted from getting into a building. You can find the copper or stainless steel roof cap that your system requires in a low profile, enhanced design. These particular materials are intended to be resistant to corrosion as well as other harmful elements and supply long-lasting ventilation. You can choose from a wide assortment of caps, including types with backdraft damper and a screen as well as a range of shapes to suit the unique needs of the structure. The roof cap design is very essential. First of all, their purpose is to enable the attic area to be free of warm air by providing an escape route. Frequently, that is accomplished through the provision of an opening that is close to the where the most intense heat collects, at the peak of the roof. The escape route that is provided creates a chimney effect which pulls cooler air inside of the space without using fans or other kinds of ventilators. Another great function of the roof cap is that it keeps both moisture and rain out, by providing a structure that is reminiscent of an elevated umbrella, which allows the escape of the air without letting in the rain. The final feature that will be highlighted is the function of the roof cap to prevent insects and small animals from migrating into the home. Good caps make use of a screening material which enables the escape of hot air, while keeping the unwanted critters at bay. FAMCO manufactures roof caps as well as other ventilation devices. Situated in the Pacific Northwest, they are experienced in the manufacturing of vents which effectively remove moisture and heat and prevent snow or rain leaks. They make caps in pre-painted steel, galvanized steel and copper, which are all suitable to be used in both business and home settings. Overall, roof caps offer an effective way to reduce the temperature in the attic and as a result, keep the home interior comfortable and lessen the cost of electricity. If you are experiencing difficulty in cooling your home, your solution could be installing a cap in your roof.